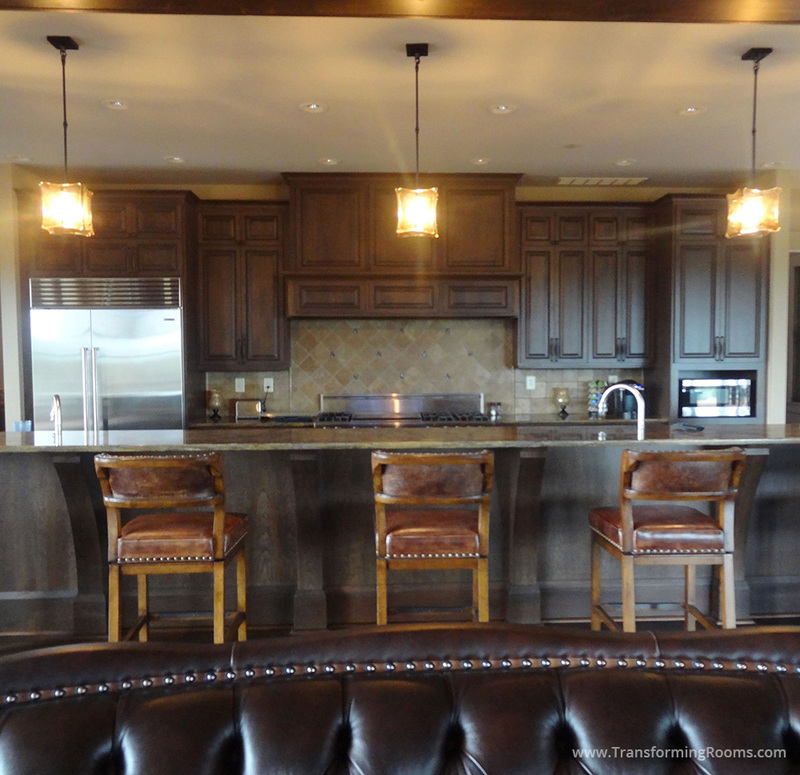 Hunting lodges and mountain homes need lots of bar stools. We were able to use 6 bar stools on this long island! 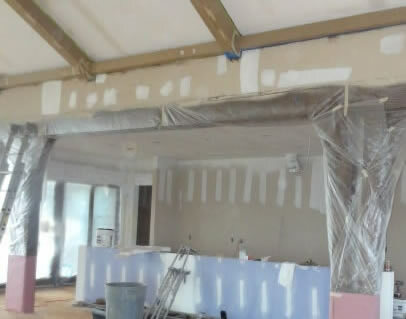 We also added walnut beams, imported granite, and commercial appliances. Our pendant lights complete the look.